This tutorial will shows you how to installing and Configure MySecureShell on ubuntu server edition. MySecureShell adds interesting features in terms of safety-SFTP Server. This tool uses the OpenSSH encryption to protect data and queries that are issued.There are more problems with the generation of certificates and public and private keys are supported for authentication without password. Another advantage MySecureShell requires opening a single port for SSH and SFTP!The protocol used is based on the NFS (Network File System) and proves to be much more efficient than the simple FTP protocol. Support public and private keys for secure authentication without password. Only one port to open for SSH and SFTP (port 22 by default). The protocol used is much more optimized than FTP because it is based on the protocol of the NFS . 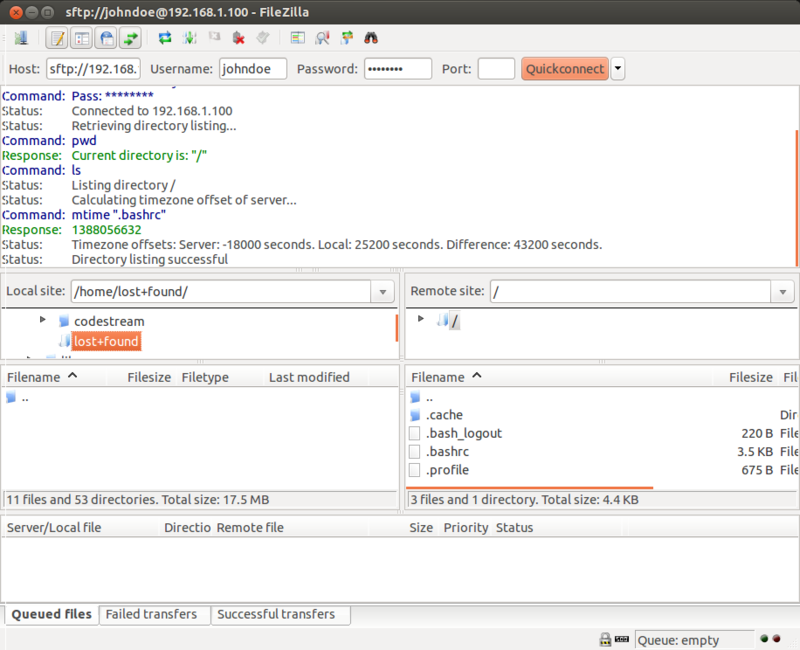 Management of activity of the server with logs. Restrictions of users by ip, groups. Easy installation and administration of the server with a graphical interface. No certificate problems non-certified or certificate generation. MySecureShell Installation is relatively simple, and many parameters can be adjusted. Create a group that SFTP users will belong to. In example I’ll create group called “mssftp”. Create authorized users to make sftp and allowed to do only sftp. In this case I’ll create user johndoe. 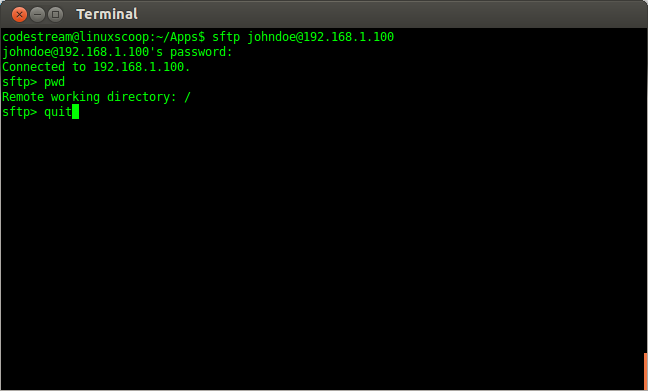 MySecureShell has the following set of commands to administrate your SFTP server. sftp-admin, sftp-kill, sftp-state, sftp-user, sftp-verif, sftp-who.